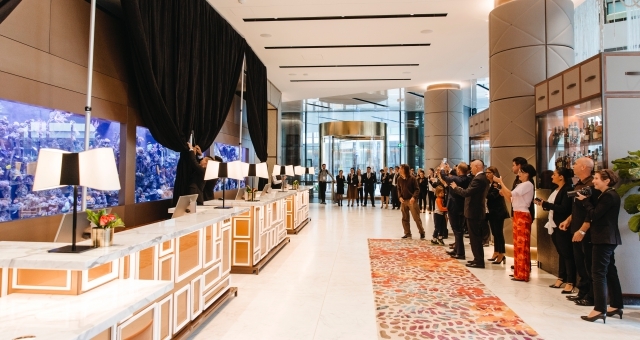 Australia’s largest hotel fish-tank has been unveiled at the Sofitel Sydney Darling Harbour this week (June 7), providing a spectacularly vivid welcome to Sydney for visitors from around the world. The aquarium is a central focus for all guests arriving at the hotel, with the 12 metre, 12,000 litres fish-tank boasting over 50 marine species, including many fish varieties from ‘The Tank Gang’, which starred in ‘Finding Nemo’, the famous animated film set in Sydney Harbour and along Australia’s east coast. The tropical aquarium is designed to evoke Australia’s Great Barrier Reef, and features many of the fish that appeared in Nemo, such as the Ocellaris Orange Clownfish, Ocellaris Black and White Clownfish, and Damselfish, along with Barrier Reef Chromis, Green Chromis, Humbugs, Blue Lined Surgeon, and Flame Anthias. “We have had tremendous reactions wherever we’ve installed fish-tanks because they are not only so colourful, they provide a very calming experience, especially after someone has flown around the world to get to Sydney. 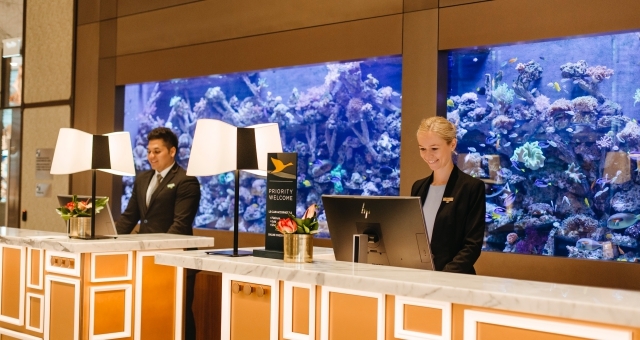 “Of course, this aquarium had to be particularly memorable given that the Sofitel Sydney Darling Harbour was the city’s first new-build international 5-star hotel this millennium and is housed in such a prominent building. 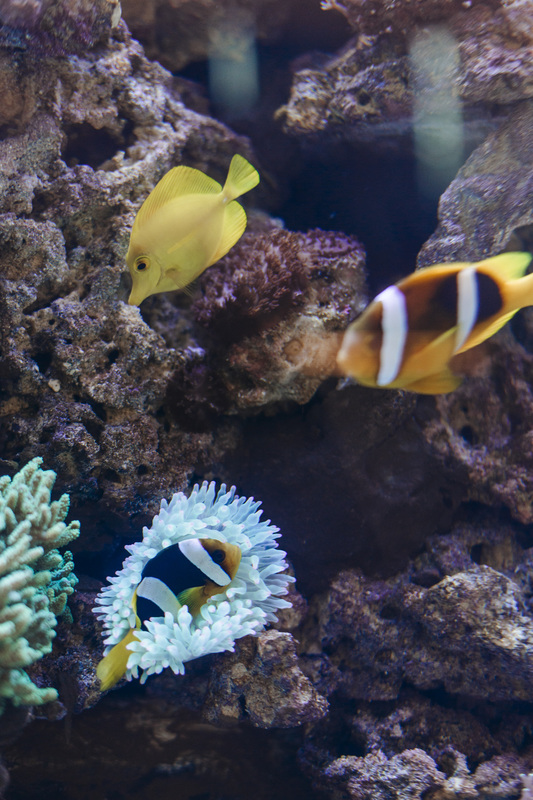 “Just like our guests, the fish originate from all over the world, and even if our guests can’t get to places like the Great Barrier Reef to see ‘Nemo’ and his friends in the wild, they will be able to appreciate them during their stay in Sydney”.